Since the earliest days of foxhunting, every component of this time-honored sport, from valuing its traditions to following its rules of etiquette, has been heralded. And, in centuries-old fashion, each organization or registered group has referred to itself as “The Hunt”. The Hillsboro Hounds has been especially privileged by the historical strength of both past and current Masters for indeed, it is the Masters who determine every facet of the hunt: officers, staff, membership, hounds, and land. 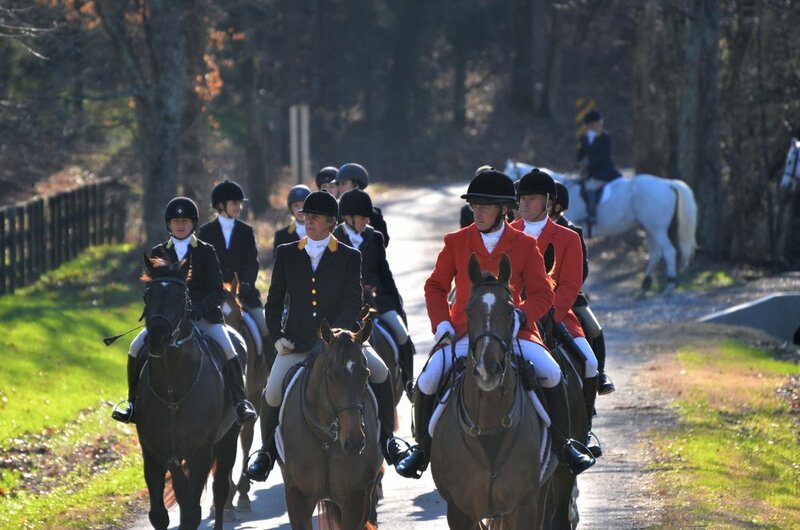 It is always the hope that, like so many Hillsboro members for decades now, you will experience the extraordinary thrill and sheer joy of riding to hounds as part of “The Hunt”. Bold fox, you learn eternal truth. For which the histories offer proof. It’s true of all the world’s host. List of Officers & Staff. The sport of foxhunting can be one of tremendous pleasure, excitement and camaraderie, but only when well-trained riders on well-schooled, well-equipped horses turn out to hunt. To ensure such pleasure and safety ALL MEMBERS, no matter the number of years of experience, should review this guide prior to hunt season each year, and again periodically during the season. For first time foxhunters this handbook is a “must-read” in order to prove their satisfactory horsemanship before participation. Please read and discuss these rules with an experienced member to be sure you and your mount are ready for the ‘fun’ of hunting with the Hillsboro Hounds. Few sports have preserved the highly recognizable, yet, decidedly traditional attire of the foxhunt. And few changes have been made over time so practical is this style in meeting the seasonal conditions of weather and terrain. Though spectators may be drawn to the obvious pageantry, the true foxhunter revels in the bond of its tradition. • Formal from Opening Hunt to the season’s close. • Informal or ‘Ratcatcher’ from the preseason through regular season non-formal hunts. • Casual or Trail Ride for off-season rides. 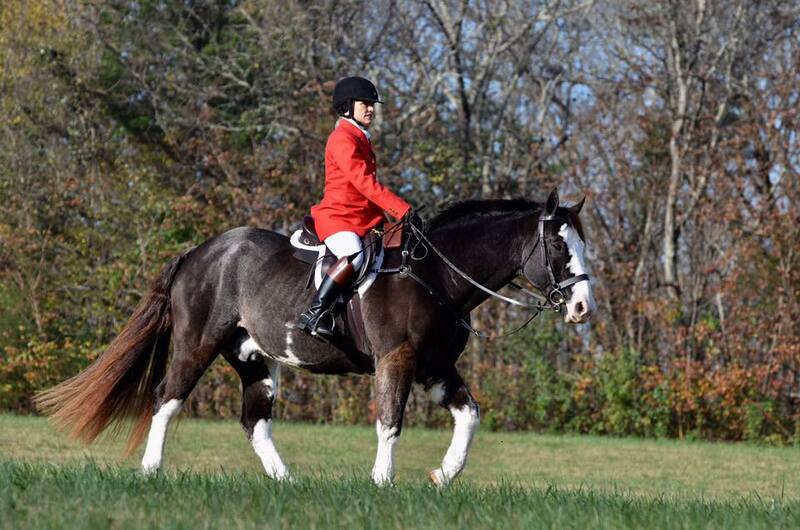 Nowhere is there a more handsomely turned-out field of horses and riders than a foxhunt. For proper dress, see the Handbook pages 19 – 24. You are a team, your horse and you. And it is the true foxhunter who knows it. Just as you take pride in your own hunting attire, all Hunt participants including landowners find pleasure in gazing upon a Field of clean, well-groomed, clipped and beautifully tacked horses. White contoured saddle pads are appropriate only with no color, embroidery or colored piping. Well-conditioned and clean, all tack should be PLAIN, strong and unadorned. At Opening Hunt, a braided mane and tail are customary. Start the season off right and your horse will thank you for it! Safety and good etiquette go hand-in-hand in this sport. Knowing your proper position in the field is as key to a successful hunt day as is your respect for the hounds. And your care not to damage a landowner’s property coupled with your gratitude at day’s end in thanking Masters, Field Masters, Huntsman and Whippers-In will definitely add to the spirit of camaraderie and hospitality. Photographers, their vehicles, and photography equipment are welcome on roads and main driveways only. Photographers, their vehicles, and photography equipment should never be placed in the path of the hounds (or horses). Photographers are asked not to be on the radios as participants. Photographers must not use drones. Photographers must not follow Honorary Road Whips. Photographs taken at hunts and other events organized by the Hillsboro Hounds shall not be used as a commercial enterprise, but may be given away. Publication of photographs requires advance permission by the Joint Masters.